Naturally... I had to go! 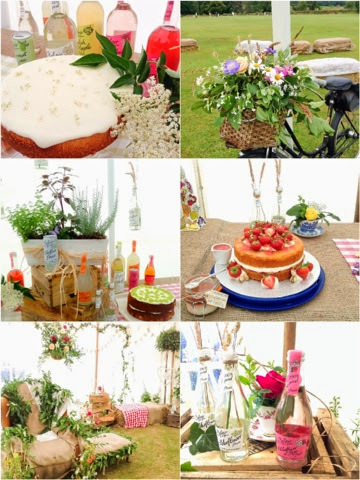 Belvoir Fruit Farms held their first ever Elderflower festival today to celebrate their 30th Birthday. 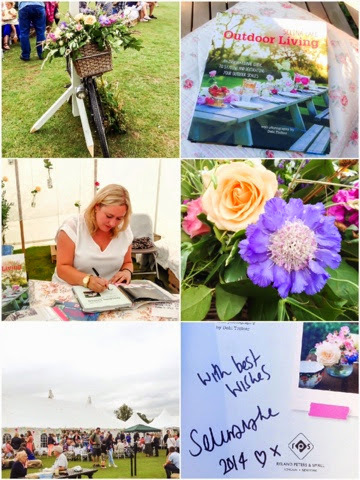 and author 'Selina Lake' whom I had the pleasure of meeting, and finally got my hands on her latest book 'Outdoor Living' which she very sweetly signed for me. Gorgeous blooms were everywhere... Hanging roses bobbing about in Belvoir fruit bottles. and the gentle sound of Cricket in the background made for a quintessential English summers day. new book which I can't wait to get started on!